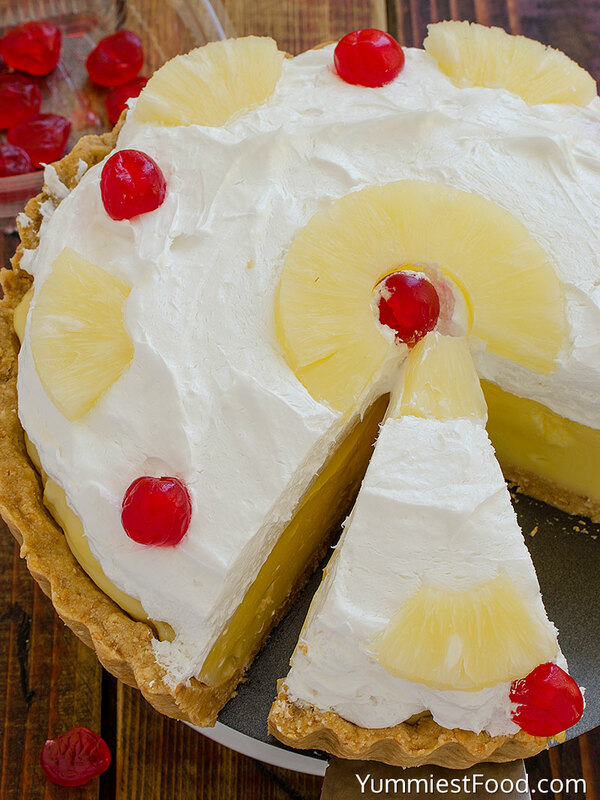 Pineapple Pie a quick recipe for creamy, refreshing and so delicious summer pie. 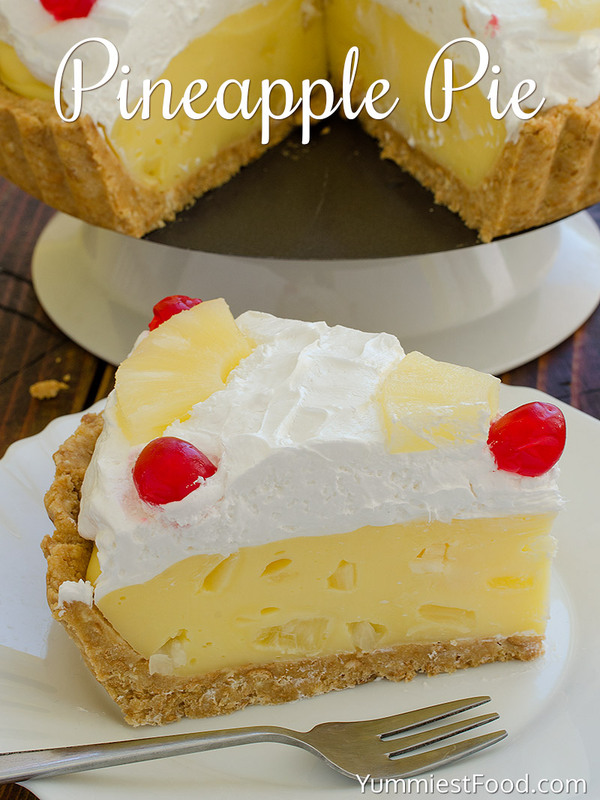 Pineapple Pie the most easy and best tasting pie! When it is summer time I like making simple, refreshing cakes and pies. These days I watched Mom’s cook book and I found plenty of recipes which I made so many times. 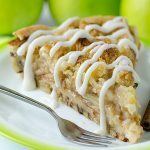 I found this summer pie and I recommend you to give it a try. 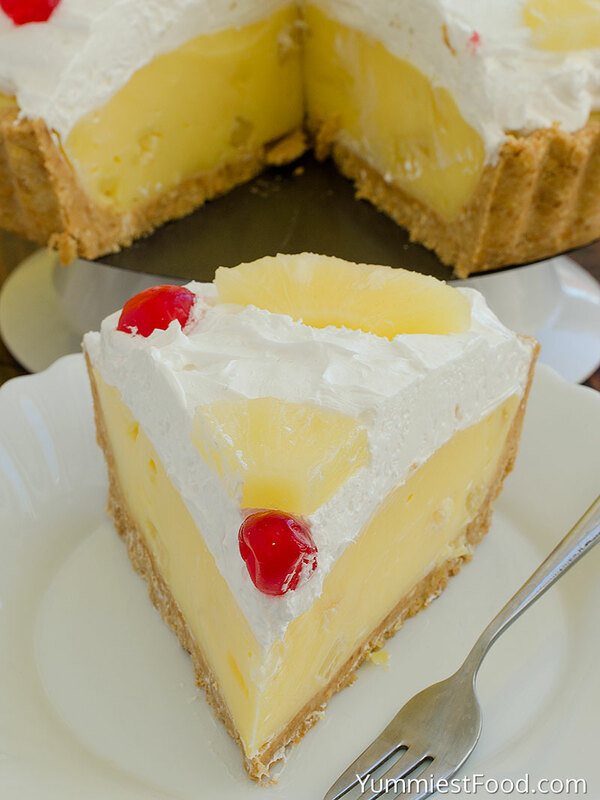 It is pineapple season so this pie is ideal in great combination with rich cream filling. This time I made a decision to make my version of Mom’s Pineapple Pie and pudding. 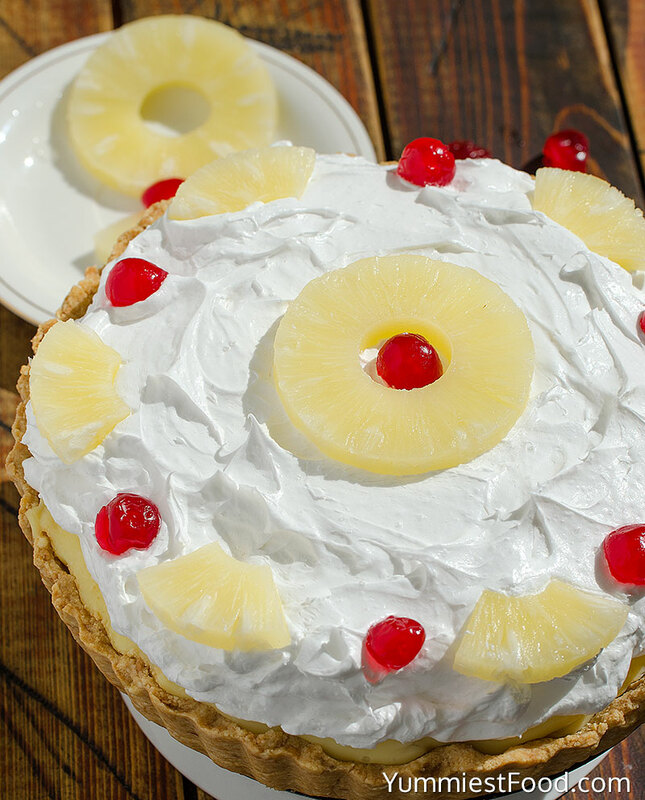 For this Pineapple Pie you need only few ingredients and you got perfect summer pie. I am sure that many of ingredients you have in your kitchen. Today pineapple is missing in my kitchen, so I am going to buy it because pineapple is my main ingredient. In my supermarket I found ready-made pie crusts so I bought them because I don’t have so much time but I want to surprise my children. I couldn’t find fresh pineapple, so I bought canned pineapple. 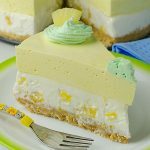 Pineapple Pie is always a good and quick idea, and it is so refreshing in combination with whipped cream. 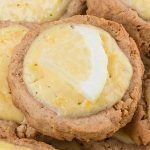 This sweet thing consist butter Graham Cracker crust, creamy filling with pineapple and whipped cream. When it is finish I always put it in the fridge and after one hour this is a real summer pie. 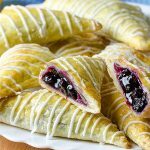 My Mom likes to make minor changes with this recipe, so she put her favorite fruit and it is always great choice. We add strawberries, peaches, cherries, blueberries. Try to find your favorite combination. You can combine anything you like, but my choice for today is pineapple and I am sure that you will love it too. Enjoy! Combine graham crackers crumbs with ½ cup melted butter and stir until evenly moistened. Press mixture into the bottom and up the sides of 8” pie plate. Press hard to compact. You can use a glass to press the bottom, but use your fingers to press the sides. 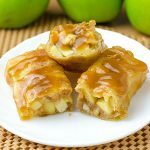 Set in the fridge to firm while making the filling. I asked myself the same thing ? I just mixed the powder with the sour cream and pineapple. If you make the pudding with milk first, the filling will not set up. It all goes in together no other instructions. If I wanted to use fresh pineapple, how much would I put in this pie instead of he 20 oz canned? Hi, you need to use the same amount of fresh pineapple, 20 oz. Good luck and Enjoy! indicqte on recipe that pudding should be combined with milk according to package directions . I almost made a mistake making this but read the Reply and question. Someone else may miss that important step. Going to make it soon? Hi Flo! You don’t make the pudding per the package instructions, you just add the pudding powder mix with the pineapple and sour cream. Let me know how you like it! Enjoy! Hi Irene, I haven’t tried any others flavor but they would probably work, just alter the flavor of course. Enjoy! I made this it’s amazing!! Minus crust I bought a premade graham crust it is crunchy with a good taste good with filling very good. Homemade crust was too soft. Hi Donna, I’m sorry I have not tried this with cream cheese so I don’t know how it would turn out. Lidia says on one comment to make the pudding as per the instructions on the box, and another comment is to just add the pudding as the powder. Terrible instructions on this recipe. Hi, I’m sorry my mistake, you just add the pudding powder mix with the pineapple and sour cream. Let me know how you like it! Enjoy! Lidia, why don’t you delete your first comment where you say to make the pudding as per manufacturer’s instructions? That is what is causing all the confusing; you saying 2 different things. Hi Edward, I am so sorry about this, and thanks for bringing it to my attention. I am working on it! I made this with light sour cream, light cool whip & sugar free vanilla pudding also pineapple in light syrups. Taste just as sweet as made with regular & less calories. I tried the Pineapple Pie, and found it very sweet and heavy. 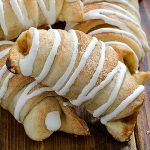 Would it be possible to double the sour cream for less sweetness, and fold in 8 oz. cool whip, to lighten it up ? Hi John, I’m sorry I have not tried this with double sour cream, so I don’t know how it would turn out. It is worth a try though! Hi how long do you leave it in the Fridge? Hi Briena, At least 2-3 hours before you serve. Enjoy! 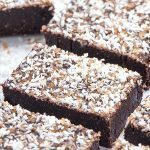 Could you use already made crust if your a on the go kinda girl? I just made Pineapple pie. Can I leave in frig up to thirteen hours before serving??? Just made it fresh now. Hi Jenette, You can leave it in the fridge at least 2-3 hours before you serve. Enjoy! 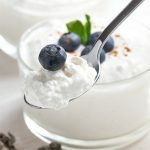 How much cream cheese can I use instead of the sour cream ? Hi Sherry, you need to use the same amount of cream cheese instead of the sour cream. I wonder if I could use Greek yogurt instead of sour cream? Has anyone tried substituting? Hi Lauri, I’m sorry I have not tried this with Greek yogurt so I don’t know how it would turn out, but I think that would be a good substitute. It’s worth a try! Don’t be Concerned Barb. It will come out OK! 🙂 Thanks for sharing this nice comment! Hi Teresa, I have not tried freezing this pie so I can’t say for sure how it would work. Hello, I made the pie and although it was yummy the pinapple part came out almost like a dough. I dont know what I did wrong, I followed along with the recipe step by step and it all came put sticky. I was almost not able to spread it in to the pie crust. Also I decorated it with dehydrated pineapple “flowers”.